Songwriters: Make Your Demos Really Pop! If your demo’s vocal isn’t stylistically believable, the song won’t sell itself. Good songwriting will be obscured, and possibly passed over, when a music supervisor or publisher listens to a song that has off-pitch, weak vocals or vocals that are stylistically incompatible with the music. For example, say you’ve written an R&B song and hope it will be sung by Christina Aguilera. But when you record the demo, your vocal sounds like an old-style cabaret singer with overly precise word articulation and a loose, wide vibrato. Result: The style of your song will be eclipsed and most likely passed over. Who Will Sing Your Song? When a publisher listens to a demo, if s/he can’t envision a certain artist singing it, chances are slim that s/he’ll pick it up and submit it to an artist for consideration. With that in mind, as you write a song or revise it after it has been written, evaluate the style of your song and match it to one or several possible artists you believe could sing it. This brings us to some important steps that many skip entirely or skimp on in their haste to demo and submit their songs. Before you write a song that you hope to have sung and recorded by specific artists, spend time listening to a cross-section of their currently released material to find out: Are there any particular keys or types of melodies they favor? How much or how little vocal range do they tend to use? Do they use mostly single syllable or multi-syllabic words? Are there any characteristic ways they use their voice, such as certain vowel sounds for their peak or climatic notes? Is their vocal bluesy, belting or whispery? Do they use much sustain? Do you hear a certain recurring manner of rhythmic phrasing or a use of embellishments? Identify all this before you write your song or revise it, so you’ll compose music and lyrics that are stylistically consistent. You will also discover if you have the vocal skill to sing on your demo or if you should have a talented singer record it. If you plan to sing on your demo, doing this simple exercise before you record will help you to improve your sound. Sing the melody of your song without lyrics, phrase by phrase, using a simple vowel sound such as “Ah,” “Ee” or “Eh.” Don’t connect the notes with an “h.” Instead, keep your vowel pronunciation consistent as you slowly and smoothly sing each phrase. Doing this has several benefits. 1) By removing the lyrics, you’ll focus on the musical flow of the melody and this will bring to attention any possible musical edits you deem stylistically necessary. 2) Your voice is the vowel sounds (not the consonants of words). This exercise can help to improve your tone and pitch accuracy, because it requires you to work the sound of your voice only. 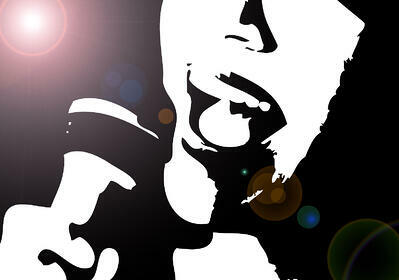 3) Singing the melody with a single vowel exercises your vocal muscles so you can sing more easily. Once you’ve done this (over and over) to your satisfaction, sing the song with lyrics and notice any improvements. At this point you can begin to stylize your voice to suit the intended artist or song placement. If you’ve decided to sing on your demo, but your vocal style doesn’t complement the genre of the song, practice with recordings of singers who sing in that genre. Record yourself so you can compare your rendition to those other singers and make adjustments as needed. There are two important studio factors that either enhance or diminish your recorded vocals. Take the time to get the right headphone mix. You should hear yourself well and not feel “crowded” by the volume of other instruments. If needed, try the “one ear off” technique; Leave the headphone off one ear to hear your voice acoustically in the room. The type of mic chosen and the mic’s placement should match rather than alter your voice and it should capture your best sound. When using your home studio to record, the standard microphone input on your computer is usually inadequate to make good quality vocal recordings. Use a separate audio interface with a preamp or, for the more budget-conscious, use a USB studio condenser microphone. While it may be difficult to remain objective, the whole project will fail if you do not evaluate your recording with a professional detachment that can discern stylistic consistency, perform-ance believability and accuracy of pitch and rhythmic phrasing. If the first two in-gredients are there, the pitch and rhythm can be fixed by punches or corrected in the recording software. If you have followed all these suggestions and the vocals still don’t sound as good as they need to, it is time to acknowledge that you may not be the right singer for this recording. Your skill is songwriting and you want the quality of your art to be evident to others, so find an appropriate singer to record your demo. There are some talented singers out there who will jump at the chance to get studio experience, an endorsement or even possibly a demo recording of their own. You can find singers through contacting voice coaches in your area, online musician referral services or bulletin boards, by referral from recording studios, other musicians you may know and through Music Connection’s musician’s online social network: AMP (http://musicconnection.com/amp). You can offer to pay a singer or possibly draw up an agreement allowing them to use the recording as a demo to showcase their voice as long as they don’t sell or record the song as their own. Your song should already be copyright protected prior to going into the studio. Jeannie Deva is recognized as one of the nation’s top celebrity voice and performance coaches. As a recording studio vocal specialist, she has been endorsed by producers and engineers of Aerosmith, Elton John, Fleetwood Mac and the Rolling Stones. 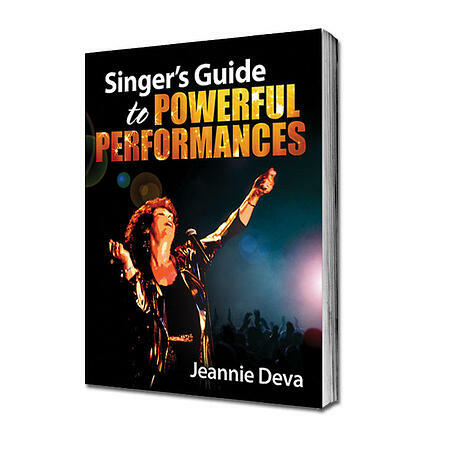 Her newest book publication is Singer’s Guide to Powerful Performances. See http://JeannieDeva.com.